Geneva : A neurological condition linked to the mosquito-borne Zika virus could be targeted globally with existing national programmes for detecting polio, a paper co-authored by World Health Organization researchers said. Surveillance systems in place in 177 out of 194 WHO member states currently check for acute flaccid paralysis (AFP) as part of the U.N. agency’s global polio eradication programme. The stools of children younger than 15 years are analysed in laboratory to confirm polio or identify non-polio AFP cases, which include Guillain-Barre syndrome cases. “With increasing evidence of linkages between Guillain-Barre syndrome and Zika virus infection, it is imperative to enhance Guillain-Barre syndrome surveillance,” WHO researchers led by Nirmal Kandel said in a paper posted on the WHO website. 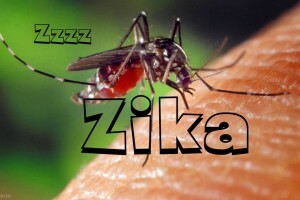 In the Americas region where the Zika virus is spreading the annual rate of acute flaccid paralyis has been reported at between 0.8 and 1.1 per 100,000 children.